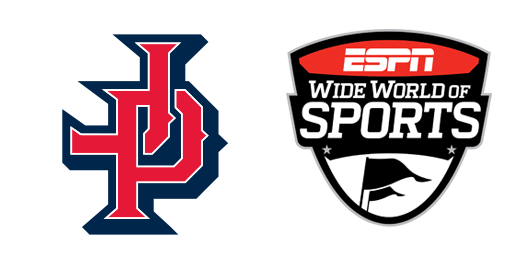 Be a part of the competitive JP Sports team as we travel to Walt Disney World® Resort in Florida for the prestigious Disney International Salute to Baseball tournament. During this 6-day event, you'll have the opportunity to compete against teams from all over the world at ESPN Wide World of Sports Complex, home to Atlanta Braves Spring Training! ENJOY THE MOST MAGICAL PLACE ON EARTH! In addition to playing ball, each player's family will receive 3-Day Magic Your Way® Base Tickets, as well as an EXCLUSIVE invite to the tournament party at Disney's Typhoon Lagoon Water Park, an after-hours event just for players and their families! This is a competitive tournament experience and JP Sports requires those interested in playing to apply. We’ll carefully evaluate each applicant. JP Sports gladly accepts nominations as well. Tell us why your athelte would be a good choice for this prestigious and competitive tournament event. Apply in the application form below! BEING CHOSEN IS THE ONLY WAY TO PLAY IN THE JP / DISNEY EXPERIENCE IN ORLANDO. APPLY TODAY OR NOMINATE A DESERVING CANDIDATE! Disney International Salute to Baseball ages: 9U – 14U* (8U and 16U can be added, based on interest). *Age as of April 30, 2019. Each day, games will conclude early enough for athletes and their families to enjoy all that the Walt Disney World® Resort has to offer! JP Sports also participates in the Disney New Year's Baseball Classic. This is an INVITE ONLY tournament and players are selected by participating in the JP Sports All-Star Weekend. The JP Sports All-Star Weekend is a CAN'T MISS event held at multiple locations. Click on the link below to learn more about this amazing tournament!